Top Pushchair Picks For Different Activities - Which? Buggy, travel system or all-terrain pushchair? Our shortlist of the best buggies to suit your lifestyle – whether you're big on using public transport, fond of using your car, or frequently go for walks in the countryside or out shopping. You need to buy a buggy that best matches your lifestyle, whether that's frequently using public transport or going for long walks in the countryside. Your pram, stroller or buggy will be getting a lot of use so, to help make your buying decision easier, we've hand-picked the pushchairs that scored well for particular tasks during our rigorous lab-based and parent tests. But bear in mind that this doesn’t necessarily mean they’re good all-round pushchairs. It’s essential to look at all the star ratings in our reviews to find a model that's easy to manoeuvre, simple to use and has features that suit your routine, for example a generously sized shopping basket or an ultra-compact fold. Take a look at our best pushchairs to find the very best models we’ve tested. Getting a pushchair on and off a bus, train or tube can be a nightmare for parents. If taking public transport is a daily necessity for you, you'll need a pushchair that scores well in our public-transport assessments. Look for something that's light and small enough to get on and off a bus or train without hassle. These everyday strollers are a good starting point. 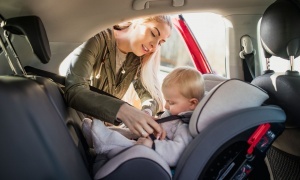 If you'll be regularly switching your little one between car and pushchair, a travel system (a pushchair you can attach a child car seat to) can make life easier. Don't forget to choose one that's easy to fold up and fits neatly into your car boot. We load and unload each pushchair into the boot of a standard family car to see how easily it will fit in with your shopping. 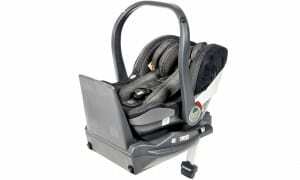 There are plenty of travel-system pushchairs in our reviews that fit the bill. Some of the most popular are listed below, or you can jump straight to our top 10 travel systems to find those that came top in our reviews. If you're buying a travel system, don't forget to ensure that the child car seat you buy is safe, too – we've found big differences between the seats we've crash tested. Take a look at our Best Buy car seats to see which ones provide a high level of protection in the event of a collision. If you're hitting the shops with a pushchair, you're going to need one with plenty of storage space. A storage basket with a 5kg capacity is ideal, and you want to be able to access it easily even when the seat is reclined. Some buggies can take as much as 10kg of shopping, and the Thule Sleek even has a zip-top cover so it’s a secure place to store your things. Also look out for a pushchair that can nip between tight shop rails without too much trouble – the following are a great place to start. A pushchair needn't be a hindrance to hiking, picnicking or enjoying the countryside. Our all-terrain tests uncover how well pushchairs cope on a wide variety of surfaces, including bumpy ground, so you can find the right buggy for your lifestyle. We run every single pushchair we test over more than 200km of rough ground to see how durable each one is – that's roughly the distance from London to Birmingham via the M40. Three-wheeled pushchairs can also be good off-roaders. Look for one with adjustable suspension and pneumatic wheels to help it to tackle rough surfaces. A sling or baby carrier could be an alternative if you don't always want to take your pushchair out. Visit our guide to buying a baby carrier or baby sling for more advice.